Consuela Vanderbilt was young, beautiful, and heir to a vast fortune. She was also in love with an American suitor when her mother chose instead for her to marry an English Duke. She sailed to England as the Duchess of Marlborough in 1895 and took up residence in her new home—Blenheim Palace. She was the real American heiress who lived long before Downton Abbey’s Lady Grantham arrived. Mme. 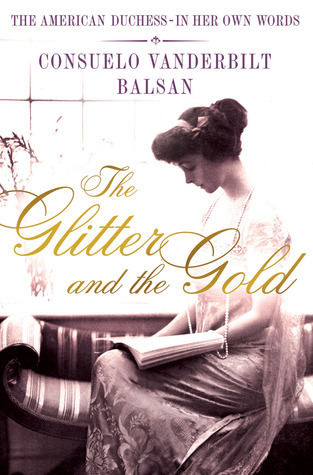 Balsan is an unsnobbish and amused observer of the intricate hierarchy both upstairs and downstairs and a revealing witness to the glittering balls, huge weekend parties, and major state occasions she attended or hosted chronicling her encounters with every important figure of the day—from Queen Victoria, Edward VII and Queen Alexandra to Tsar Nicholas and the young Winston Churchill. This richly enjoyable memoir is a revealing portrait of a golden age now being celebrated every week behind the doors of Downton Abbey. Expected publication on October 2, 2012 by St. Martin's Press. This sounds great. Thanks for sharing it today. Ooh! Sounds interesting! I'll definitely keep my eye on this one.